Around the middle of December, I feel the excitement begin to build as I look forward to the Shooting, Hunting, Outdoor Trade Show, SHOT Show, the following month. Each year is a little different, mainly because the products that are revealed vary, and my mission changes each year, too. Here are a few of my SHOT Show discoveries – some especially geared to the women’s market – at this year’s event, which ran from Jan. 23 to Jan 26. 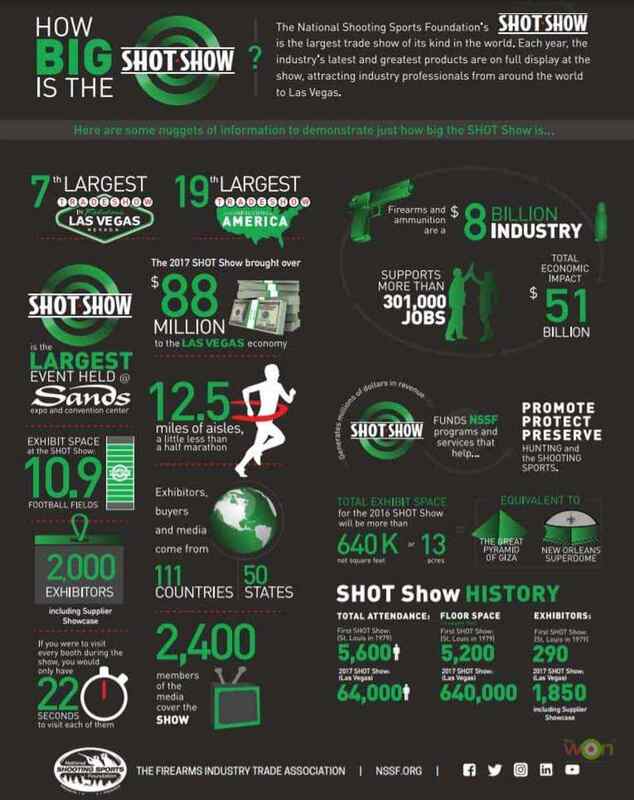 I remember my first year at SHOT Show and feeling completely overwhelmed with the enormity of event. Twelve-and-a-half miles of aisles is a lot to take in. As a matter of fact, an infographic this year stated that if you visited every booth, you’d only have 22 seconds to spend at each one. After several years of attendance, I now feel like I know where I’m going, for the most part, but still find myself in awe. As a firearms instructor, I thoroughly enjoy the unofficial first day, Industry Day at the Range. Held on the Monday before SHOT Show begins, this event brings more than 170 manufacturers and at least 1,600 media members and buyers together. 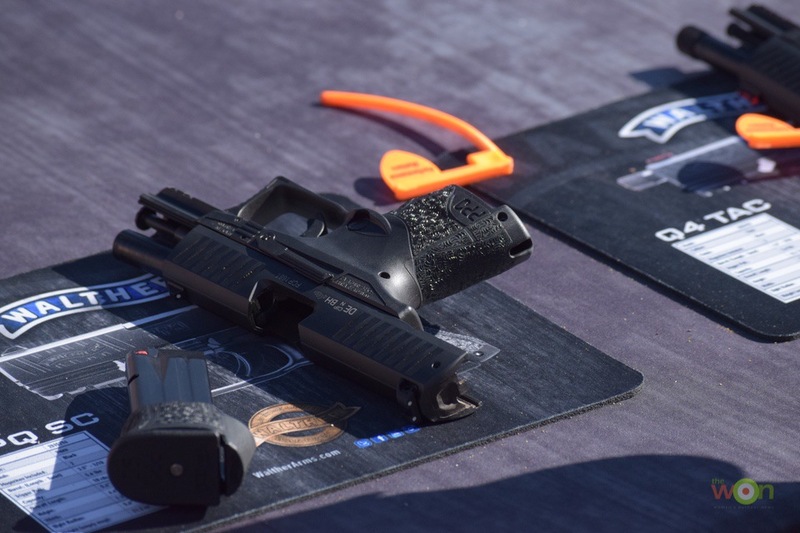 It’s an opportunity to test and evaluate the latest firearms and products. This year I focused my sights (no pun intended) on the new Walther PPQ SC, Ruger SP101 9mm revolver and Glock 19X, just to name a few. My favorite was the subcompact Walther, but then I’m kind of a “Walther girl” anyway. 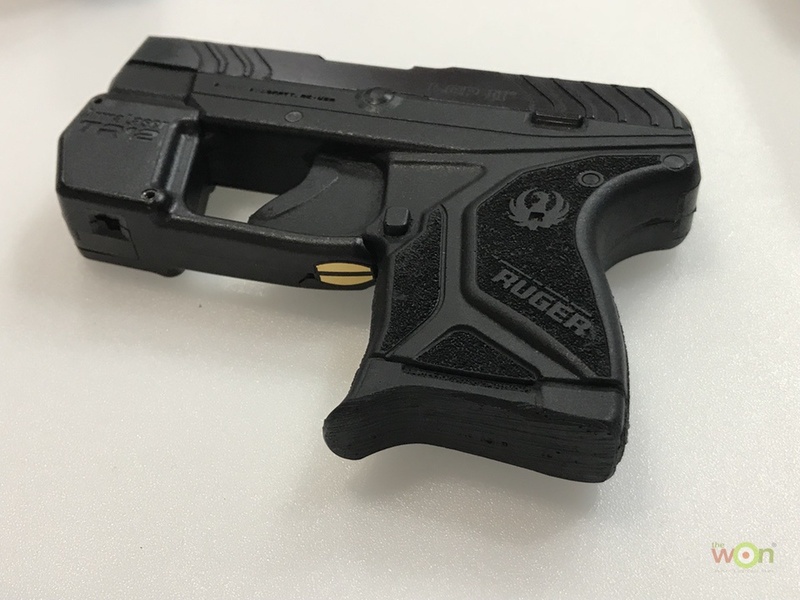 The PPQ has such a smooth trigger and short reset, and is now easier to conceal. 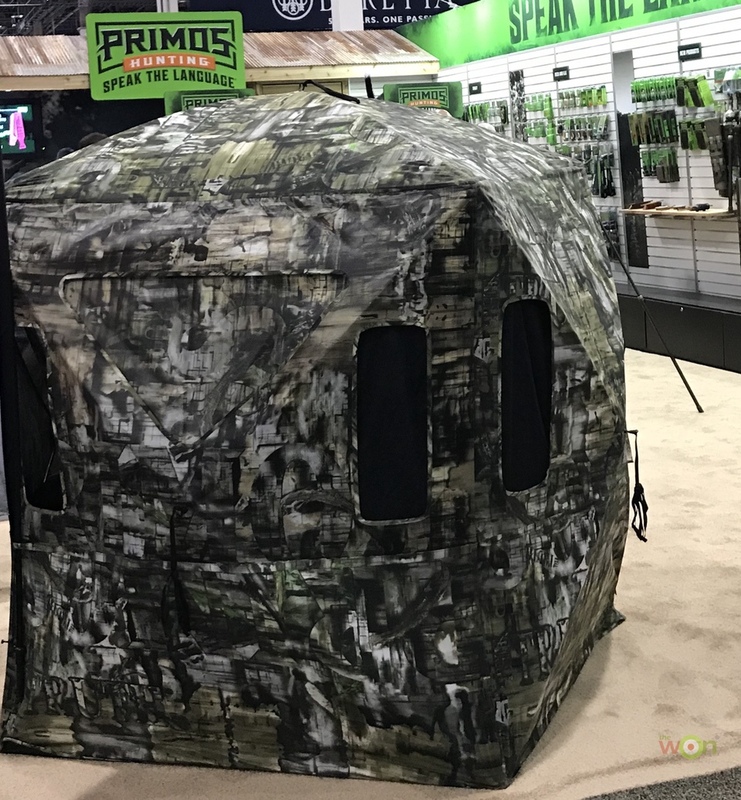 The Tuesday, the first day on the show floor, brought what I call my “hunting day.” Two main products piqued my interest. First, the Savage Arms Model 110 with AccuFit system, which allows the user to customize her rifle by adjusting the stock to fit her length of pull and comb riser for perfect sight alignment with the scope. This is especially beneficial for young shooters and even women, who generally have higher cheekbones and necks than men, which means women often require higher risers than men. Check out their website for more info about the line of Savage Model 110 rifles. Wednesday and Thursday kept me walking at a brisk pace to get to all the booths in my sights. The products listed below caught my eye and I spent some extra time learning about them. If you’re looking for a pistol laser option, ArmaLaser’s TR series is worth checking out. Their lasers attach to the pistol’s trigger guard, or accessory rail for certain models. 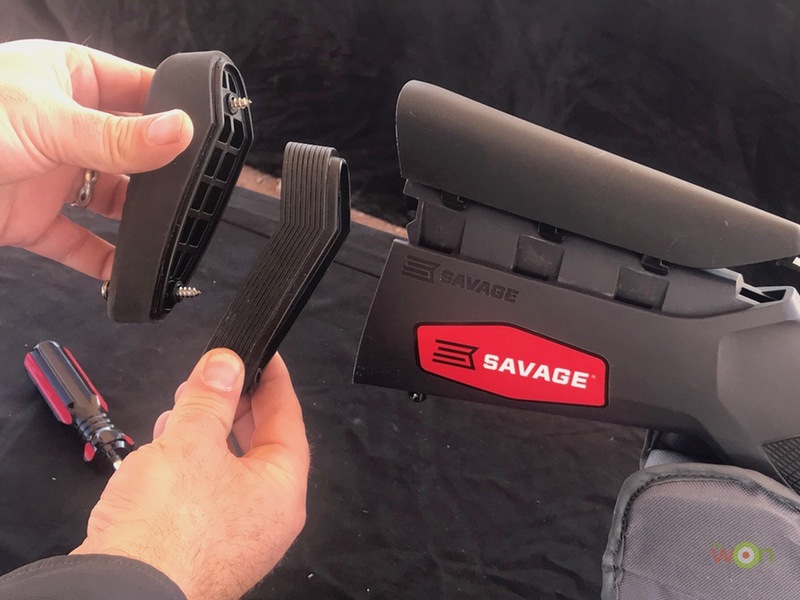 What makes them unique is the True-Touch Activation sensor that turns on the laser with a natural grip on the firearm rather than a push-button. It can also be turned off, if desired and comes in red or green laser options. See all options here. MSRP: $118.75 for red, $178.75 for green. 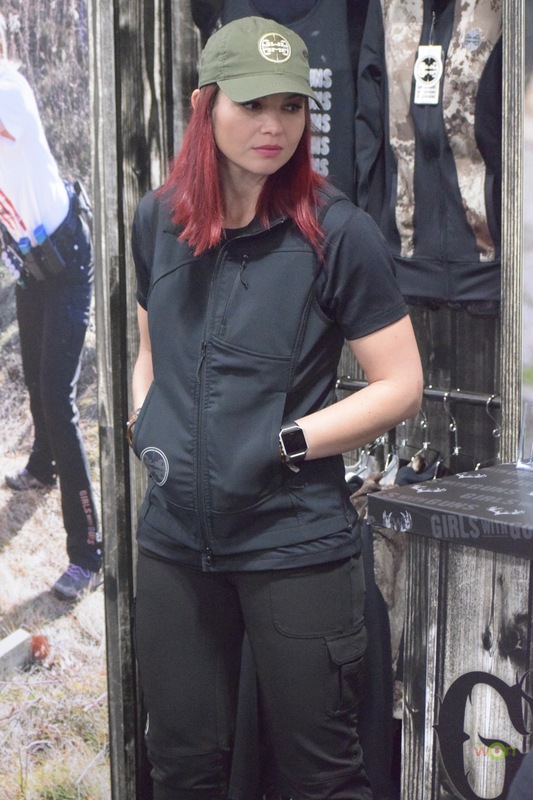 Girls With Guns Clothing introduced their new line of clothing for shooters, “Practical Tactical.” The Guardian Vest offers 4-way stretch material for easy movement on the range or for daily wear. The new “Twenty-Two” tee is a moisture wicking, antimicrobial shirt with high neckline to prevent hot brass casings from burning your flesh on the range. Finally, the new Carbine Tac-Leisure Pants come with slimmed down knees, 4-way stretch material, womanly-sized cargo pockets and adjustable inseams from 32-36 inches! This product line will be available on their website in August 2018. CrossBreed Holsters now carries colorful options, too. Its IWB and OWB are now available using Flat Dark Earth, Sniper Grey or Tiffany Blue Kydex. All holsters are handcrafted and hand molded, the same as their black Kydex holsters and are available on their website. 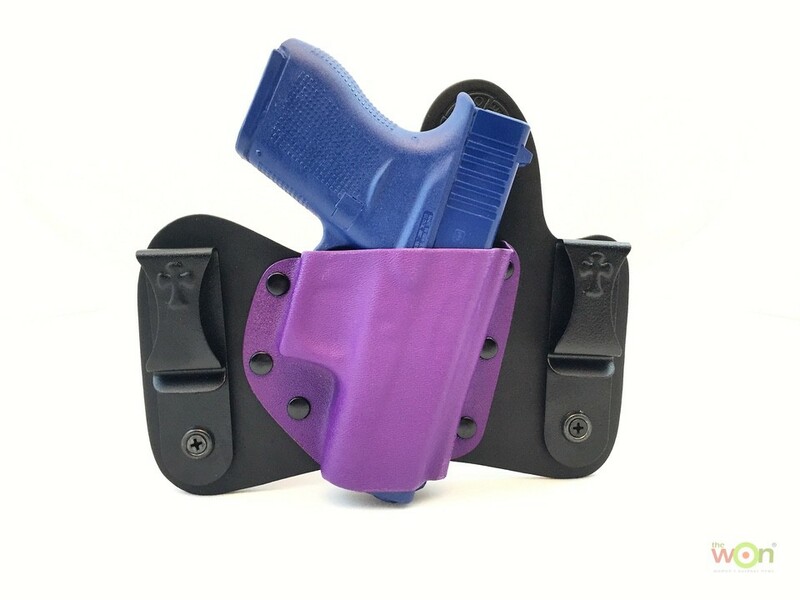 CrossBreed has also teamed up with The Well Armed Woman to offer an exclusive TWAW Purple option for the Mini-Tuck IWB holster. This holster is only available in The Well Armed Woman’s online store. I’m sure that there were plenty of other gems that I didn’t uncover, but I’m pleased with the ones I found. SHOT Show revealed that the firearms industry continues to prosper and also, continues to respond to the needs of women shooters and hunters.